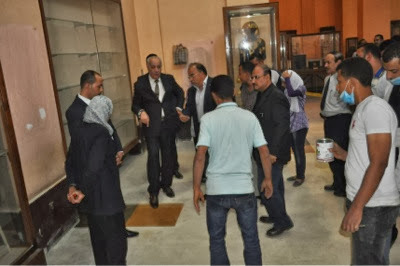 Dr. Mohamed Ibrahim, Minister of Antiquities on a visit to the Egyptian Museum to check the flooring replacement of PVC with Eproxy flooring at Tut Ankh Amoun corridor. The floor replacing and wall re-painting should be finished by the middle of November. 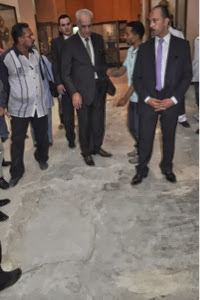 The Minister checked the ongoing work to develop the gift shop too and he stressed on the cleanliness of the toilets in the museum as he said " Cleanliness in one of the pillars of prosperity of the nations." 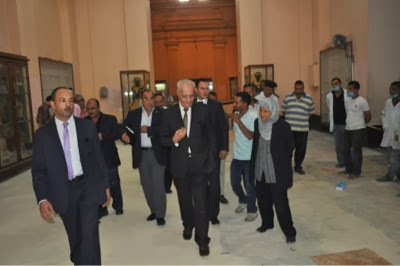 The Minister also checked the security measurements and confirmed that all sites are open and welcoming the visitors. Head Physician tomb discovered in Abu Sir. 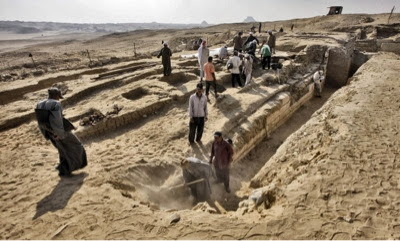 The Czech mission directed by Dr. Miroslav Barta working in Abu Sir discovered the tomb of the head physician of Upper and Lower Egypt. 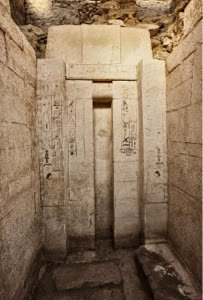 The tomb owner called Shepseskafankh who lived during the 5th dynasty. The tomb is 21x14 meters and a hight of 4 meters. The tomb walls are of limestone. A huge fake door was found at the Eastern side of the offerings hall bears inscriptions of the titles and jobs of the deceased. 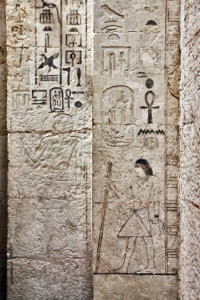 Shepseskafankh titles include Ra priest in the Sum temples for few of the 5th dynasty Kings, the magic priest and God Khnoum priest at the house of life.